A Facebook post that claims the shooting was a “false flag” has been shared more than 350,000 times. A similar report from the conspiracy-focused website Your News Wire has racked up more than 200,000 interactions, according to CrowdTangle, which tracks social media engagement. A pattern often emerges as the authorities investigate a mass shooting: speculation in online forums that one person could not have possibly committed this act alone. 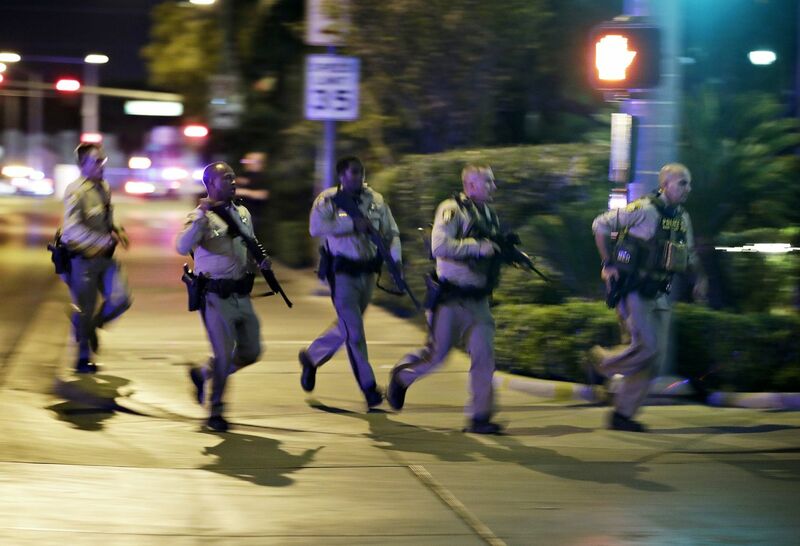 Law enforcement officials have stated multiple times that, at this point, they believe that the gunman who killed at least 59 including himself and wounded more than 500 on Sunday night in Las Vegas acted alone. Similar rumor-mongering has emerged in the wake of previous mass shootings. The morning after a gunman opened fire at a nightclub in Orlando, Florida, the police dispelled the rumor that he had accomplices. Some falsely believe the Sandy Hook shooting was staged and seized upon a mysterious “man in the woods” as proof of an additional conspirator. The man was searching for his daughter, a student at the elementary school. In fact, mass shootings have historically been solo acts, with some exceptions like Columbine and San Bernardino. After Sunday’s shooting on an outdoor concert in Las Vegas, several readers have written to The New York Times inquiring about the viral claim that there was a second gunman or additional gunmen. The Times has also seen a handful of unfounded rumors surfacing on social media sites and in search engine queries. These include a Facebook post that claims the shooting was a “false flag,” which has been shared more than 350,000 times. A similar report from the conspiracy-focused website Your News Wire has racked up more than 200,000 interactions, according to CrowdTangle, a tool that tracks social media engagement. But that is not the case. In the videos provided, the light and gunshot sounds do not match. And further, footage taken before and after the shooting shows that the light consistently flashed through the night. As Snopes has reported, a video shared on Instagram shows the same light flashing during a performance of “God Bless America” by the country music duo Big and Rich, two hours before the shooting began. Similarly, news footage taken hours after the shooting shows the same light strobing. Some sites have cited activity on the police scanners on the night of the shooting as evidence of an additional shooter and/or a broader conspiracy. The site Infowars, which regularly publishes unfounded rumors, even posted one story claiming there was a second shooter while publishing another that included updates debunking the claim. • One officer reported shots coming from a window on the “50th or 60th floor” on the north side of the Mandalay Bay — an inexact but close description of the eventually revealed location. Another said he saw “multiple flashes in the middle of Mandalay Bay on north side, kind of on the west tower but toward the center of the casino,” potentially referring to the lower-floor light.